RICHMOND, Va. -- A storm spreading snow, sleet and freezing rain took aim at millions of people across a wide swath of the South, raising the threat of immobilizing snowfalls, icy roads and possible power outages. 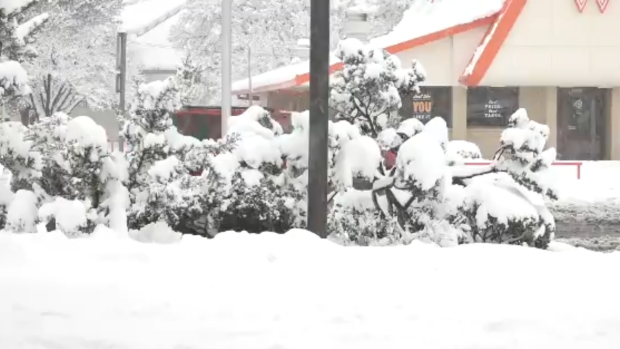 The National Weather Service said a "prolonged period of snow is expected" starting Saturday and lasting until Monday, with the heaviest snow expected in northwest North Carolina and southern Virginia. Forecasters have said some mountainous areas of North Carolina could get up to 12 inches (30 centimetres) of snow or more. Signs of a pending monster snow fall were prevalent. Traffic crews have been busy treating roads ahead of the storm. Amtrak has cancelled or modified some routes because of the storm. And many hardware stores sold out of ice melt. Starting to appreciate the difficulties they face on Ice Road Truckers! 😂 #Snowstorm #Texas #Panhandle #MotherNature #Winter #FreshPowder #ColdWeather #LoveIt!